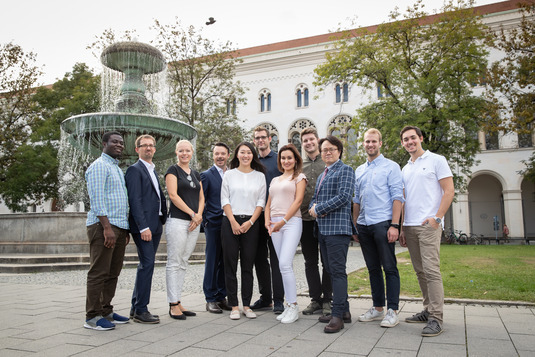 On September 10, 2018, the new participants of the Executive Master of Insurance enrolled at the LMU Munich. Following the matriculation, Karin Kunz accompanied the participants on a guided tour through the University's historic main building - particularly exciting for all students from outside Munich! Back at the Institute, Prof. Dr. Richter opened the semester with a welcome and kick-off event. The day ended with a joint dinner with traditional Bavarian food. We look forward to a successful 1st semester for our relaunched Executive Master of Insurance program! View the full picture gallery of the first day here.